Of all the pressing challenges in the US health care system, lack of innovation in delivery may be the most important. Indeed, as we come upon the 50th anniversary of Medicare (http://1.usa.gov/1FayVgF), a few facts seem apparent. What we do for patients—whether they have infectious diseases, heart disease, or cancer—has changed dramatically. Yet, how we do those things—the basic structure of our health care delivery system—has changed very little. This lack of innovation in how we do things is a major reason why health care productivity has been so low and high spending has had insufficient benefits for patients. In Medicare’s early days, when patients fell ill, they had 2 choices. For routine illnesses, they went to see an ambulatory care provider, often a primary care physician. In more urgent cases, they would go to an emergency department and potentially be admitted to the hospital. Fast forward 50 years and little has changed. To be sure, what we do for patients when they arrive at the physician’s office or the emergency department has changed dramatically. The options for diagnostic tests and therapeutic opportunities have exploded. But the basic mode for how we care for patients has been locked into place by a Medicare payment model that largely pays only for certain kinds of things—hospital visits through the Part A program and physician visits through Part B. Despite massive change in every other part of our lives, from the way we shop for clothes to the way we seek out medical information, Medicare’s static payment model has frozen into place a system of care delivery born in the 1960s. Although there have been modest “innovations” in Medicare payment models (such as diagnosis-related groups in the 1980s [http://bit.ly/1FXM0tF]), much of Medicare looks about the way it did 5 decades ago. Given that Medicare sets the benchmark for how private payers pay health care, the rest of the industry has followed—until recently. A major premise of the Affordable Care Act (ACA) was that it would spur new models of care delivery. The architects of the ACA understood that old models of care delivery impeded gains in productivity, made it difficult to improve patient outcomes, and made the health care delivery system inefficient. In response, the ACA established the Center for Medicare and Medicaid Innovation (CMMI), which is responsible for changing how we deliver health care (http://1.usa.gov/1KkCUxQ). The ACA provides CMMI with $1 billion per year for 10 years (http://bit.ly/1aLFE7p), much larger than the budgets of the Agency for Healthcare Research and Quality and the Patient-Centered Outcomes Research Institute (http://bit.ly/18QdQy3), 2 entities that have gotten far more attention. Will CMMI achieve the meaningful new models of care delivery that our health care system needs? It is unclear, but there is reason for concern. Changing health care delivery is famously difficult. Physicians and nurses, who rightfully hold tremendous sway in how health care is delivered, were trained to practice in certain ways. Getting them to change how they work and changing the structure under which they work is both difficult and risky. Getting it wrong means wasted resources and, more importantly, harm to patients. Yet the status quo, where harm and waste are rampant, is unacceptable. Change will also require substantially rethinking the role of physicians, nurses, and even patients. Because there is no blueprint for what new delivery models should look like, we need experimentation to discover these models. And what’s the hallmark of experimentation? Failures. Yet the early data suggest that CMMI has likely been far too cautious. Four and a half years after launch, CMMI appears to have funded 36 new programs (http://1.usa.gov/1w497CN), of which we have evaluations for 9. Nearly all the evaluations are positive, although careful examination of the reports paints a far more mixed picture. Most programs are having minimal effects, on the margins. For example, the Comprehensive Primary Care Initiative (http://1.usa.gov/1upG2Md), across 6 states, seems to have a monthly savings of $14 dollars (2% of total Parts A and B spending) per patient, compared with controls, a savings that actually turns negative when the costs of the program are included. The effects on quality are minimal, as well. Yet the underlying data present a far more interesting picture. Practices in New Jersey and Oklahoma have achieved savings of 5% to 7%, whereas those in Ohio, Kentucky, and Arkansas have seen their costs go up without much in the way of quality gains. Although it is possible that over time, some of these practices may recover, there are costs to waiting to see if that happens. The CMMI should seriously consider whether it wants to divert some of its resources to the successful practices or save them for other innovations, rather than continue to bet on failing efforts. It is true that sustainable change takes time, but organizations that struggle badly in the model in the first couple of years may themselves be better off in a different model of care delivery. The best estimates from Silicon Valley and others suggest that as little as 25% of venture capital–based firms make enough money to provide a return on investment (http://on.wsj.com/1wIpOEB). Knowing that very few ventures will be transformational home runs, investors bet across a large portfolio of efforts, identify failures early, and terminate those that look unlikely to be successful. The CMMI approach has been far more careful and methodical, and although that makes sense for a federal agency, it is unlikely to be sufficient for the task at hand. The federal government has made paying for value a hallmark of its strategy over the next 5 years (http://usat.ly/16srTIN). Although the details are unclear, if this new orientation is to have meaning, we will need to reconceptualize what is high-value health care. And the best ideas aren’t going to come from Washington, DC. Indeed, the federal government has acknowledged as much by announcing a Health Care Payment Learning and Action Network (http://go.cms.gov/1yVI4Ju), which seeks to engage private payers, clinicians, health care facilities, and others in new ways of paying for care. For CMMI, these latest actions raise the stakes, and there are specific things the agency can do to be successful. Foremost, CMMI needs to make meaningful bets on nontraditional players—such as startups and small delivery organizations—that are trying to fundamentally upend health care delivery. Next, focusing on organizations that are using technology in radically different ways, employing nontraditional personnel to facilitate care, and targeting new locations for care delivery would also be helpful. Focusing on nonincumbents and taking risks with nontraditional care models would pay much bigger dividends than the marginal savings that current programs are likely to generate. But they would come at a cost: a high failure rate. Advocates of the current CMMI approach would argue that such failures are unpalatable, given the current political environment. Although that is surely true, the broader health care community must give CMMI the space to fail. Even the talented, highly capable people running CMMI can’t have success rates much higher than those seen in Silicon Valley, where comparably smart investors are using their own money to make bets. But, if they are willing to be risky—and willing to fail—they can have a profound effect on the way health care is delivered. And that will be an investment worth making. Corresponding Author: Ashish K. Jha, MD, MPH (ajha@hsph.harvard.edu). Published online: March 4, 2015, at http:newsatjama.jama.com/category/the-jama-forum/. 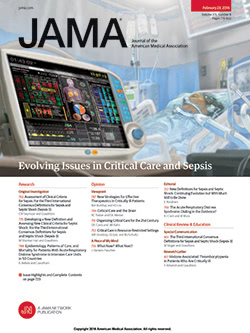 Additional Information: Information about The JAMA Forum is available at http://newsatjama.jama.com/about/. Information about disclosures of potential conflicts of interest may be found at http://newsatjama.jama.com/jama-forum-disclosures/.